Palmer joined Aston Martin from Nissan in 2015. 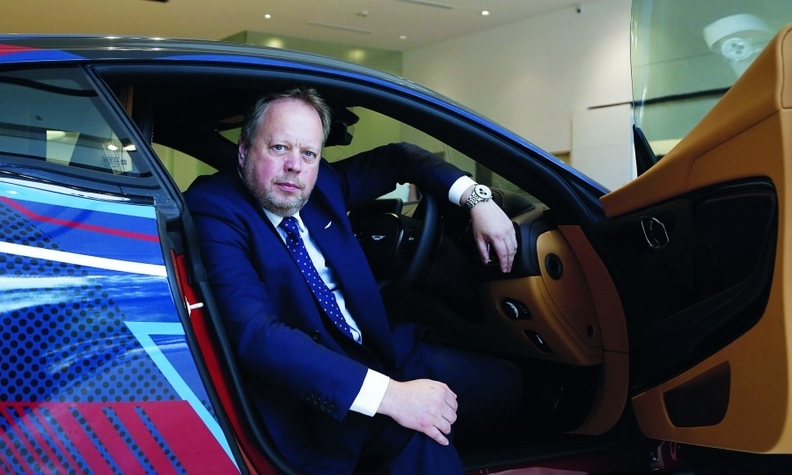 LONDON – Aston Martin CEO Andy Palmer received a total remuneration of 3 million pounds ($4 million) in 2018, according to the automaker's annual report. Palmer's 2018 salary was 1.2 million pounds which in addition to benefits, his pension and annual bonus takes the total remuneration to 3.02 million pounds. The executive joined the UK supercar maker in 2015 from Nissan. Palmer's salary will not rise until January 2022, the company said its in annual report, confirming a promise outlined in the company's prospectus. Aston Martin's initial public offering took place in October at a price of 19 pounds ($25) per share but has since fallen by more than a third.